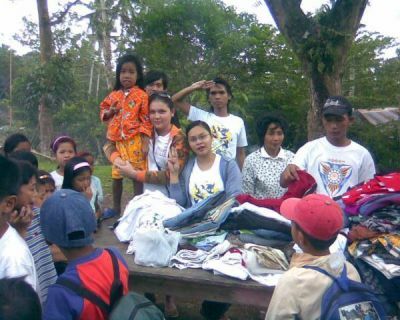 SRB - Delta Lambda Community Chapter, Ligao City will conduct a Feeding Program and distribution of used clothings for students of Tiongson Elementary School, Bgy. Tiongson, Ligao City. This will be held on January 16, 2009, a whole day affair and this will be participated by SRB residence and alumni of Delta Lambda Community(Ligao City) and some visiting brods and sis from other chapters as far as Iriga City and Pili, Camarines Sur. Please support the upcoming "Pabanda sa Park" of Delta Upsilon Community Chapter on August 11, 2009 at Guinobatan Plaza, Guinobatan, Albay. This is part of the town fiesta celebration program of the Municipality of Guinobatan, Albay. Kindly coordinate with your respective chapters for the tickets and other details. To be a strong and dynamic Provincial Council bonded by the principles of the Scouts Royale Brotherhood of Albay Provincial Council, for the advancement of all its members. This website is for all the bonafide members of SRB-Albay Provincial Council that adheres to the three Cardinal Principles of Scouting (Leadership, Friendship and Service) and the Scout Law.